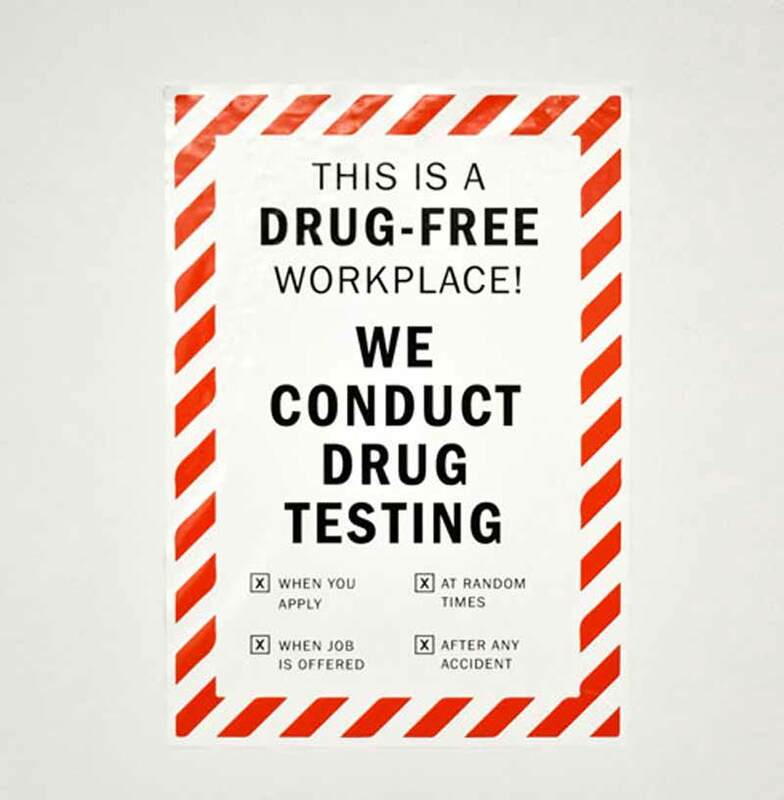 Let your employees know up front that you run a drug free workplace and conduct drug testing on a regular basis by labeling specific areas in your building with these low profile vinyl warning labels. 7"W x 10"H design includes a red and white striped border with standard text (as shown in photo) detailing when drug testing may occur. 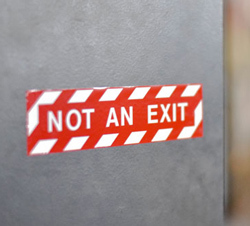 These labels can be applied to any smooth, hard surface and are indoor or outdoor durable. The material makes them easy to keep clean. Indoor and outdoor ready vinyl decal. 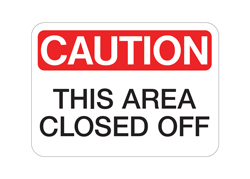 Standard text reads CAUTION THIS AREA CLOSED OFF, but you can customize these with any text you send us at no extra cost. OSHA & ANSI compliant. 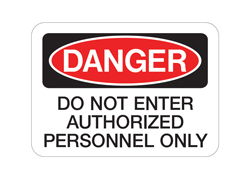 Laminated vinyl DANGER DO NOT ENTER AUTHORIZED PERSONNEL ONLY decals—durable and outdoor ready. Purchase these with our standard text or personalize them with your own at no extra charge. 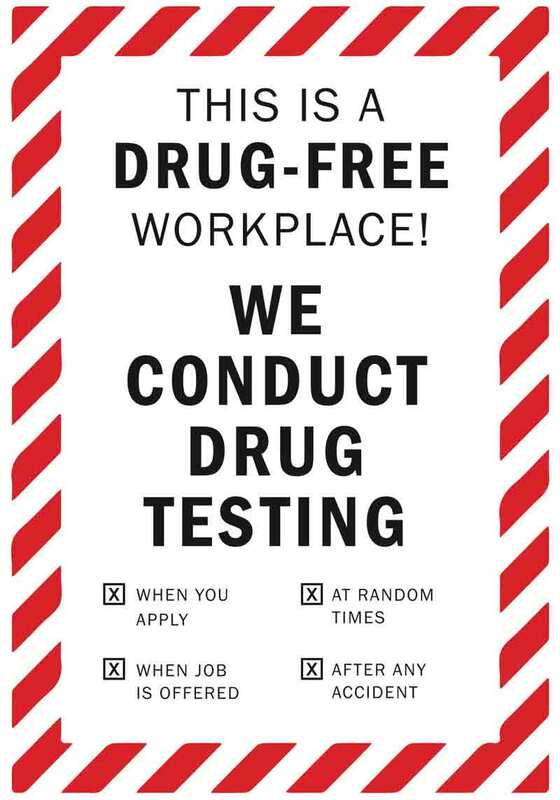 ANSI & OSHA approved. 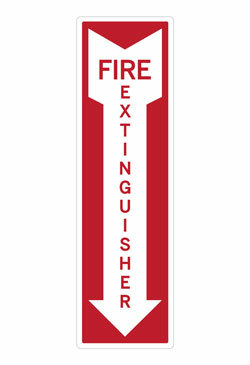 Fire Extinguisher Arrow Wall Decal. 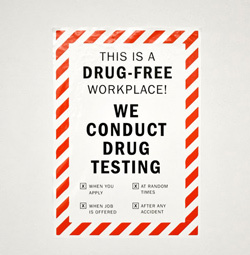 Highly durable adhesive label, tear proof to prominently display locations of fire extinguishers in your place of business or public entity - OSHA & ANSI compliant.